With about 100 competitors at the recent Musselburgh Marlins’ club championships, the scene was set for a great day. In each age group, the swimmers were competing for top girl and boy award, which resulted in fierce competition producing exciting swimming among teammates, with many personal best times achieved. To add to the enjoyment of the occasion, the parents’ race, after a false start, saw a worthy winner in Jan Uher, with Mairi Hodge in the coaches’ race cruising home to a rapturous reception, with the remaining five trailing behind in a blanket finish. 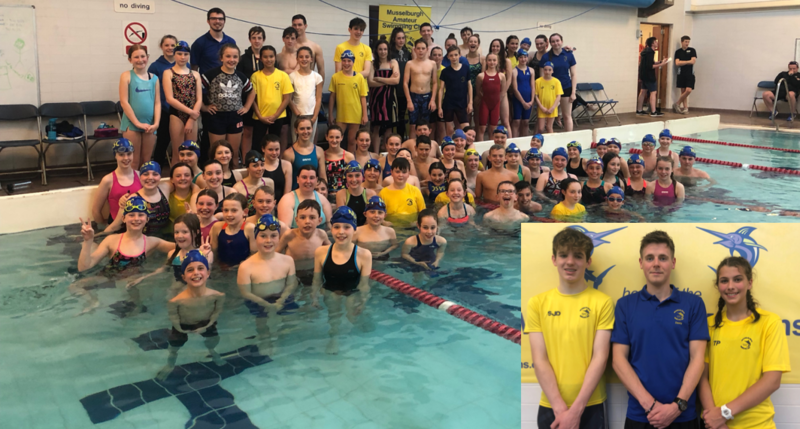 The much-awaited club relay concluded the day’s swimming, with all the competitors split into six coaches’ teams with nearly 100 members taking part. Club chairman Jack Calder thanked everyone for their “huge contribution” in organising and running such a successful event. He also announced the appointment of the new club captains Tayla Pringle and Sam Begg.